The town of Hazyview is considerably more developed since last time I was here. Back then, there was an open market in a gas station for all your needs. Now there are several malls, including one with a camera shop that sells universal chargers. The old town may have had more charm, but the new one at least means we were able to fire off 100 shots of these two kudu almost being eaten by a crocodile this morning. The face off (shall we drink the water? Is that a log?) 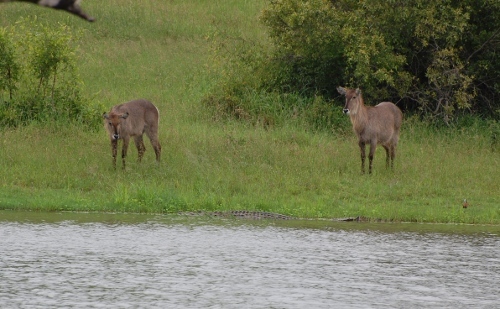 lasted well over an hour before the kudu walked off and the croc went hungry. Still, if we hadn’t sat watching them, we’d have missed this gorgeous chap just around the corner when we left the lake. 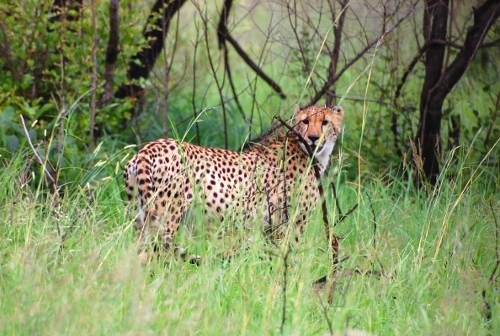 I can’t believe we’ve been lucky enough to see a cheetah just three days after the leopard. These two are almost impossible to see normally, and yet both were just by the side of the road, waiting for us. amazing creatures. Thank you.